The FIve video: Pink slips for the President’s Jobs Council. Wednesday’s numbers: O’Reilly-Bret Baier-The Five 1-2-3. Geraldo Rivera dreams the impossible dream. Friedman: Can Zucker bag the big one? Today’s apology. Dickson: Is the Soledad train about to leave the station? Carville and Matalin speak. What of Roland and Donna? Report: John King to be dethroned. Jake Tapper at Marist. Imus video: Imogen Lloyd Webber vs McGuirk part one, part two. ICN: MSNBC’s modus operandi is now dodge, duck, and obfuscate. Lean Forward: MSNBC airs no explanation or apology; more. Audio: Joe Trippi talks to Kilmeade about the War on Fox. Rothstein: Starting Point ‘too ethnic’? Staffers brace for worst. ICN: Latest doctored video flap threatens MSNBC’s credibility. Lean Forward: MSNBC in a new deceptive editing controversy. Q&A: Harris Faulkner. January cablenews program ranker. Imus video: Laura Ingraham. Super Bowl Q&A: Sandra Smith. Zurawik: Under Zucker, CNN is looking like a contender. More. Grove: Shock and awe at CNN…and more heads will roll. Video: Greta and Hillary Clinton. Shock photo: Andy Levy. Unedited Factor video: Bill’s feisty Q&A with Gen Colin Powell. Monday’s numbers: Bill O’Reilly-The Five-Bret Baier 1-2-3. Jan numbers: Fox tops. Spin: MS, HLN, CNN. Weekend numbers. Lean Forward video: MSNBC obsession with FNC marches on. Mandel: Attempts to delegitimize Fox threaten press freedom. Goldberg: Liberals should be troubled by a WH War on Fox. Powers: How the WH wages its war on Fox News. Counterpoint. Daly: The media need more liberals like Kirsten Powers. Erickson: Things I learned during my three years at CNN. Weprin: Zucker has his hands full resuscitating CNN mornings. Red Eye vIdeos: Rowdy amnesty debate part one, part two. Carville, Matalin, Bennett leaving CNN; Erickson jumps to Fox. Imus video: Martha MacCallum on Rubio etc part one, part two. Chris Cuomo gets Zuckered; Curry contradiction; Whitaker out. Rick Kaplan resurfaces. CNBC snub analyzed. Dobbs tops CNBC. Factor video: 60 Minutes and Hillary Clinton part one, part two. The Five video: Shooting from the lip? Friday’s numbers: Bill O’Reilly-Bret Baier-The Five 1-2-3. Q&A: Tucker Carlson on CNN, MSNBC, Olby, and more. Greta: What I will do in my 12 minutes with Hillary Clinton. Lean Forward: Obama fundraisers target (MS)NBC. Today’s Palin specularama: hired by Zucker? Or maybe not? Colin Powell enters the no-spin zone. NBC snubs CNBC? Video: 60 MInutes Q&A like ‘state-run media’? Foul weather. Imus videos: Bill Hemmer; Juan Williams part one, part two. Tougher than 60 Minutes? Zoraida ringed. Curry clamp-down. Videos: Obama attacks Fox, Trump and Peter Johnson respond. Hot & Not: Coop, Curry, Cashin’ In, contracts, CNBC, and more. Reliable Sources videos: Palin, polarization, and more. Greta: Democrats being pressured to stay off Fox News. Broadening the definition of news: CNN’s red carpet show. News Watch video: A media inauguration love connection? Zucker’s recipe to save CNN: opinion, drama, pizzazz. Mediaite: ‘Clash’ of the titles. Sunday talk: preview, recap. Factor video: Bernard Goldberg on still-slobbering media. The Five video: In Colorado, pot problems proliferate. Thursday’s numbers: Bill O’Reilly-The Five-Hannity 1-2-3. Sarah’s out! (via ICN) Analysis. Profile: Charles Gasparino. Brawl on CNBC. Liz Claman in Davos. Today’s twitter spat. Video: Does the WH press corps fawn over Barack Obama? Steven Wright: Not good sports at CNN. Q&A: Jake Tapper. The Five video: Race and Bloomberg’s soda pop ban. Wednesday’s numbers: O’Reilly-The Five-Bret Baier 1-2-3. Old patterns die hard: CNN ratings crash repeats itself. Rachel Nichols joins CNN. Josh Lipton moves to CNBC. Eric Bolling to host Cashin’ In. Q&A: Rich Edson, SNL to FBN. Videos: Judge Nap on Hillary, major media coverage debated. Mickey Kaus: Is it time for a new Fox? Greta vs The Daily Caller. The Five video: What if Benghazi had happened under Bush? Monday’s numbers: Inauguration (CNN)-Blitzer-O’Reilly 1-2-3. Jake Tapper disclosure flap. Q&A: Tamron Hall. Today’s oops. Imus video: Blonde on blonde pt one, pt two. Weekend numbers. Coop preemptively pushing back against Ann Curry encroachment? The Five video: A new trend…the pre-emptive apology. CNN to blow the lid off…SeaWorld! CNN hires Erin McPike. Video: Was coverage of the inaugural fair and balanced? Lizzy O’Leary leaves CNN. More GOP propaganda from Fox! 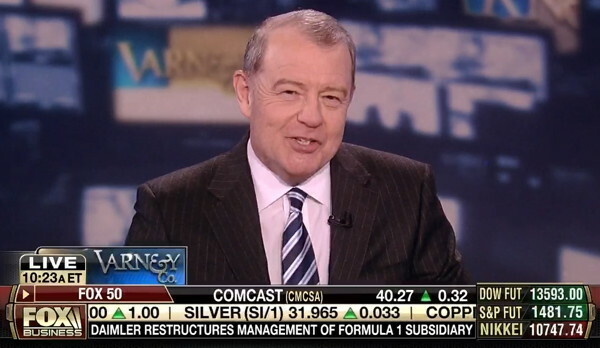 Imus videos: Ed Henry on WH snubbing Fox, and Bob Beckel. Factor video: Bernard Goldberg looks at The Second Coming. Q&A: Liz Claman, Dennis Kucinich. Maddow makes it up. Zucker takes over, Darth Vader returns. CNN tops swearing in. Impartial journalists opine on award speech. Bashir battles tumor. Al-Jazeera: Too factional for US viewers? Tucker specularama. Inauguration morning: CNBC and Bloomberg in reruns; FBN live. Piers Morgan’s recipe for ratings: name-calling and 9/11 truthers. Today’s exposé: Anderson Cooper, CIA agent! Fox hater ‘humor’. Lean Forward: MSNBC can’t stop talking as Biden sworn in. Fox News Watch video: Media yawn at gun control theatrics? CNN anchor’s bizarre obsession: writes to Barack Obama daily! Factor video: Greg Gutfeld and Bernard McGuirk tackle Te’o. Fox reporter must reveal sources. Sunday talk: preview, HP recap. The Five video: Don’t subsidize your children’s college tuition? Thursday’s numbers: Bill O’Reilly-The Five-Bret Baier 1-2-3. Whoops! Martin Bashir reports fake PR story as fact. Videos: O’Reilly on The View: part one, part two, part three. Q&A: Piers Morgan says CNN to be more ‘edgy’, opinionated. Factor video: Bill O’Reilly welcomes the newest FNC contributor. The Five video: Will Barack Obama preserve the constitution? Jennifer Griffin gives Zero Dark Thirty: two thumbs way down. Cable newsers Megyn and Melissa on ‘power list’. Rove re-ups. Imus video: Alan Colmes vs Bernard McGuirk part one, part two. Biznet, MSNBC inaugurals. CNBC blows the lid off...Spider-Man! Video: Piers Morgan with Colbert. Today’s oops; oops part deux. Ann Curry can go to CNN…if she sits six months in the penalty box. With its cable news in decline, CNN looks to other opportunities. The Five video: Something missing from executive actions? Tuesday’s numbers: O’Reilly-The Five-Baier 1-2-3. Weekly ranker. It’s more GOP propaganda from Fox. Haters begin the attacks. Special interest group nominates MSNBC, CNN for awards. Conspiracy News Network? CNN inauguration Current hanging in. Imus video: Lis Wiehl and Deirdre Imus part one, part two. Fox News called on just once over the last six Obama pressers. ICN: Zucker was right to stick up for Piers. HLN makeup emergency. Monday’s numbers: Bill-O’Reilly-Hannity-The Five 1-2-3. Fox News inauguration coverage. Fox signs Jedediah and Katie. VIdeo: Is media coverage of debt ceiling wars truly unbiased? Piers punts powwow? Charles in Charge? Weekend numbers. Reports: Matt Lauer wants NBC to release Ann Curry to CNN. Video: Judge Napolitano responds to attack from the NY Times. He’s Mr Popularity! Heather’s best birthday ever? Kurtz konflict? Factor video: Bernard Goldberg on media coverage of Current sale. The Five video: School discipline going overboard? Q&A: Greg Gutfeld sees cycles; Harris Faulkner, news junkie. Marine Jon Hammar on The Factor tonight. Tamron moonlights. Profiles: Charlie Gasparino; Neil Cavuto, from fish fryer to anchor. Imus video: Bret Baier on debt ceiling wars. Scoop spats (v ICN). Videos: Judge Jeanine on hypocrisy at the Journal News; more. Reliable Sources videos: Guns, cable spats, and more. News Watch video: Media taking sides on gun control? Video: Kevin McCarthy debuts as Fox News contributor. Take the Fox News college challenge (via TV Newser). Factor video: Hawaii strikes back! Sunday talk: preview, HP recap. The Five video: Quentin Tarantino and movie violence. Thursday’s numbers: Bill O’Reilly-Bret Baier-The Five 1-2-3. Video: Have media been fair in coverage of gun violence? FNC signs new nerd contributor. Today’s Fox hater meme. Larry disses Piers. 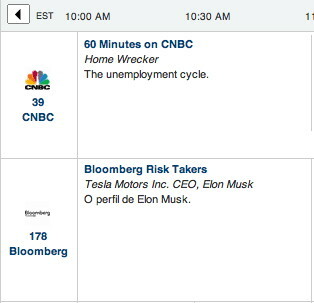 CNBC targets clock-watchers. Tech wars. Factor video: Glenn Beck on his attempt to buy Current from Gore. The Five video: All the President’s men. Kelly’s Court video: Does Bill Maher owe Trump $5 million? Piers Morgan, new ratings champ…except for all the others. New MoJo PR ploy. Today’s boycott. Rundown turns three. Sports not-so-illustrated. Raising America. No-spin shocker! Factor video: Geraldo Rivera’s close encounter with Al Gore. Imus video: Holder vs McGuirk pt one, pt two. Weekend numbers. The Five video: Schools teaching pupils to ‘spread the wealth’? Tuesday’s numbers: Bill O’Reilly-Bret Baier-The Five 1-2-3. Red Eye video: Andy Levy ombudses guns, Gore, and more. Zurawik: Al-Jazeera has a bias, but it’s not what you think. Factor video: Is Planned Parenthood violating federal law? MSNBC claims Chained to My Ex is journalism. Today’s outrage. Current staffers grumble at Al Jazeera confab. Flashback. Profile: David Asman on journalism, marriage, and cigars. FNC tops coveted Facebook comment metric. FBN exec exits. Imus video: Martha MacCallum. CNBC unveils revamped Prime. Factor video: Bernard Goldberg on the press vs right to privacy. The Five video: Fiscal cliff buyers’ remorse? Video: Megyn Kelly shot on national tv. Profile: Bret Baier (v/TVN). VIdeo: Are the media giving a pass to Dems on spending issues? Spitzer splits. Grace and CNN settle. John King’s whereabouts. Profile: Megyn Kelly, Hitchcock blond who suffers no fools, gladly. Imus video: Jake Tapper talks cliffs. Q&A: Peter Barnes, Phil Griffin. Hot & Not: Current TV, CNBC, O’Reilly, CNN, etc. Larry moonlights. Videos: Greta on This Week part one, part two; web extra. Reliable Sources videos: Clinton, Christie, the cliff, and more. Who currently at Current will survive the cut? CNN on storms. News Watch video: How well did the press cover Congress? Briggs replacement: Tucker Carlson? J$P hears: temporary sub. 2012 cable ranker. Reese’s piece: good news…except for CNN. Factor video: Father of jailed Marine. Sunday talk: preview, recap. More video: We Don’t Want Piers Either. The Five video: Is DC’s problem too much testosterone? 2012 cablenews program rankers: Fox News holds top 11 slots. Gainor: US media bias trivial compared to overseas outlets. Lean Forward: These racial attacks would be a scandal if on Fox. Al-Jazeera’s international focus; Zurawik: Purchase is good news. Imus video: Mike Baker on US security. From NPR to Fox Latino. To dream the impossible dream… Q4 spin: CNN, HLN, MSNBC. The Five video: Al Gore shirks paying his ‘fair share’. 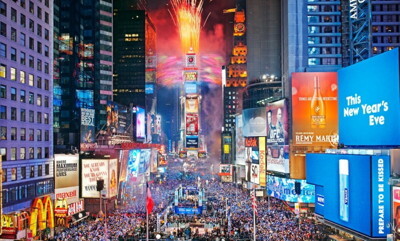 Monday’s numbers: CNN NewYears Eve-Baier-The Five 1-2-3. That was quick: Dave Briggs resurfaces. Another O’Reilly movie. Another bright idea to save CNN…on Bizarro Planet maybe. CNBC: Nothing to see here. Today’s oops. Weekend numbers. Imus video: Sally Kohn vs Bernard McGuirk part one, part two. ICN: Does Al-Jazeera buying CurrentTV spell trouble for CNN? HLN makeover: new ‘lifestyle’ series. Q&A: Christiane Amanpour. Has a quiet campaign against a CNN contributor proved successful? Factor video: Bernard Goldberg on public disinterest in economics. The Five video: Hollywood’s love-hate relationship with guns. Stelter: Current tv has finally found a buyer…it’s Al-Jazeera! Shock: Daily Beast attacks Fox, gets it wrong. More. Update. Apparently Ann Curry believes those Curry-to-CNN rumors. CNN’s embarrassing debasement tarnishes Cooper as well. Imus video: Mike Emanuel explains what happened at the cliff. Solin: CNBC, stop the madness! ICN: Wake up! This is rising above? Happy New Year from johnny dollar’s place!